MnTAP has two neighborhood specific project to help businesses and targeted industries voluntarily reduce VOC emissions in a cost effective fashion. Keep an eye on this page for the latest project updates. We are looking for a medium to large scale business interested in evaluating the potential to reduce their emissions to host a student intern to focus on emissions of interest with the goal of identifying cost-effective methods of reduction, justifying the implementation of change and generating a roadmap for that change. We are looking for a number of small businesses using janitorial cleaning and maintenance chemicals, including apartment buildings, interested in better understanding the hazards and risks of these chemicals and considering less risky alternatives that are effective for the required task. MnTAP completed an evaluation of degreasing chemicals used in vehicle maintenance – call to learn more about this effort to identify safer degreasers and cleaners and how they results might apply to your business. 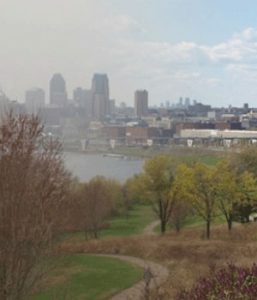 This fall, MnTAP is teaming up with UMN’s Robert J. Jones Urban Research and Outreach-Engagement Center (UROC) to partner with businesses and other community groups in North Minneapolis to reduce air emissions which can cause health problems for workers and area residents. MnTAP will be applying recent degreasing chemical hazard and effectiveness findings to new shops.